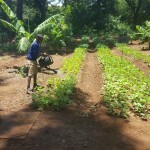 The LBL Family increased their monthly savings by eating vegetables from their home garden and selling vegetables from an income-generating extension garden. They used their savings to start a brick-making business. In January they sold over 5000 bricks, earning 1,000,000 UGS (US $270). The LBL Family is made up of a father and two school-aged boys. The father is a builder and his boys follow him to his work sites to sell vegetables from their gardens. 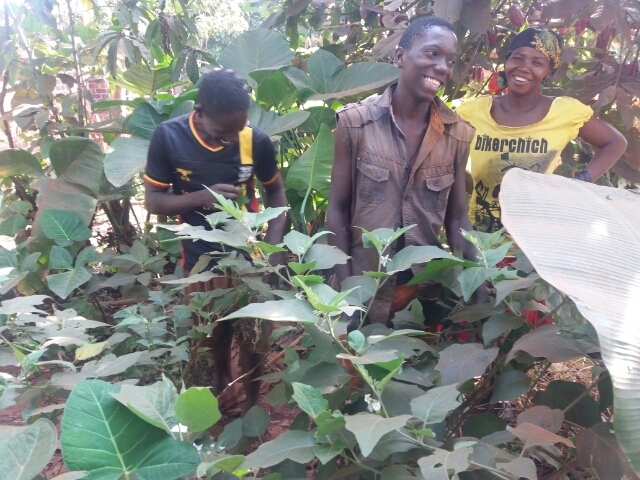 The LBL Family saw increased benefits from their family and extension gardens in 2018. 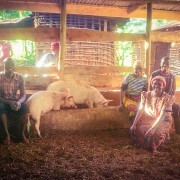 Their savings per week raised from 4,000 UGS (US $1.08) to 10,000 UGS (US $2.70). This increase in savings acts as a safety net for the family and allowed for further investment. In response to the demand their father saw in the local area, the family started a brick-making business and sold them using their father’s connections as a home builder. While the father is out at building sites, the LBL boys are at home using the local method of making bricks. 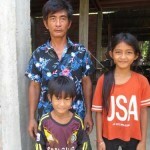 The increased income also enabled the LBL Family to improve their home. 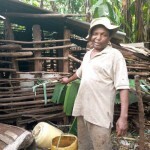 Most recently they built a latrine and hope to finish the rest of their house by the end of 2019. 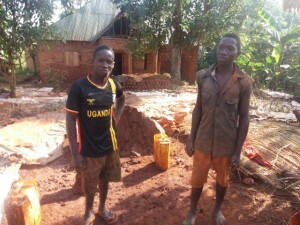 In Uganda, local bricks are made by using clay-rich soil, water, and a mold to shape them. After the bricks are molded, they are laid evenly on the ground to dry beneath elephant grass or plastic sheeting to prevent cracking caused by the sun. After drying, they are carefully stacked into a larger rectangular shape and baked in a pyre. The increased business opportunities and home projects did come at a price. 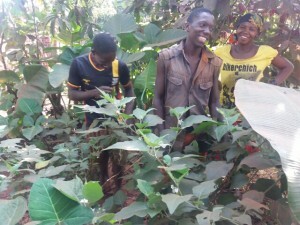 Due to the number of jobs the father and his sons are taking to improve their income, the LBL boys put a hold on their education in order to maintain their home revenue streams like brick making and the production garden. 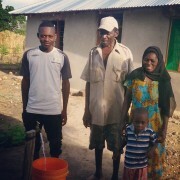 Wamukisa manager Michael Kiwanuka is working with the family to agree the importance of continuing education and to plan how the boys can return to school without sacrifcing the families’ short-term needs.